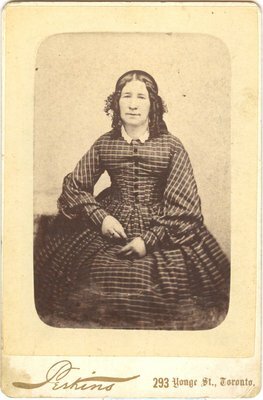 A photograph of a woman the photo album of Amos Wright, resident of Richmond Hill. A photographer Thomas E. Perkins is listed as operating from 1881-1890 in Toronto, on 293 Yonge Street. publications can be had at any time by sending name in full.